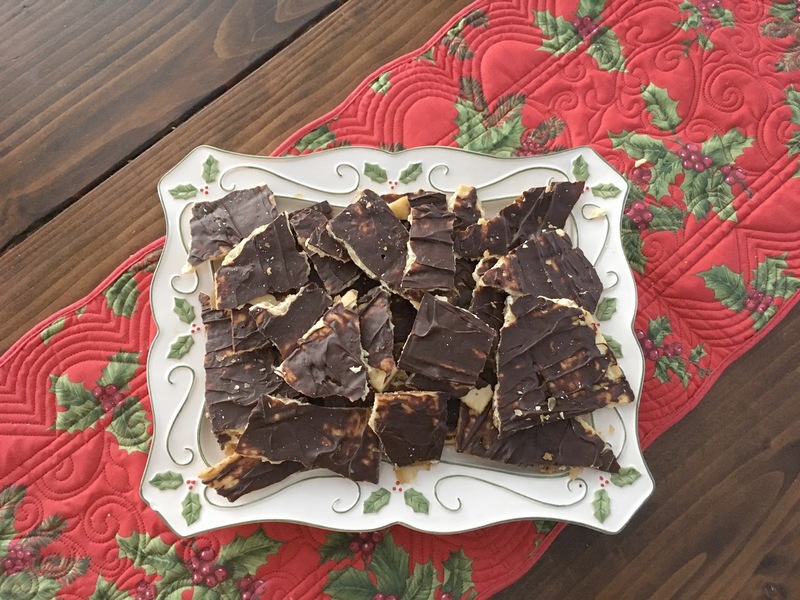 This is such an easy and tasty dessert to bring to any party! Line a baking sheet with foil and spray with non stick spray. 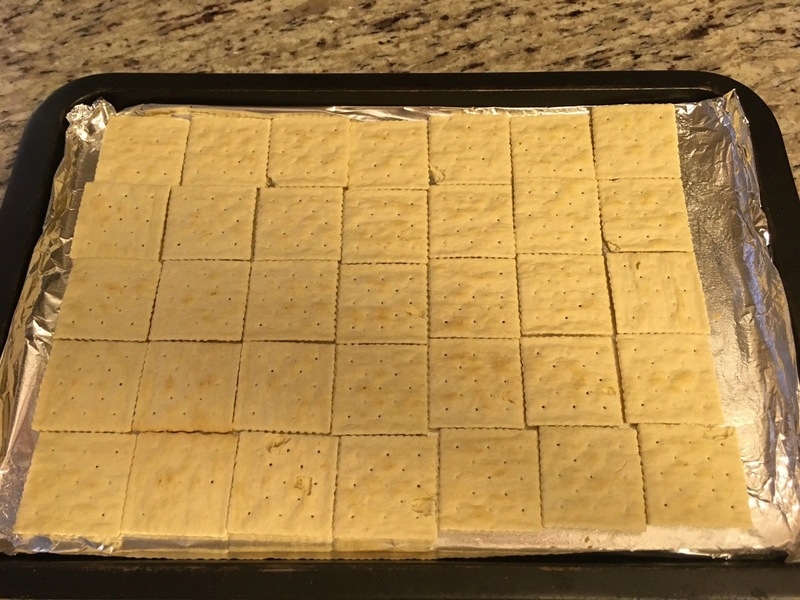 Lay out your saltines salt side down. 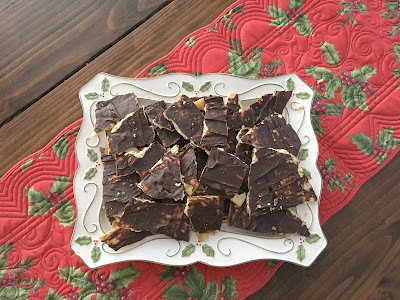 Remove from the oven and pour the chocolate chips all over - wait about 30 seconds and then start to spread the chocolate all over the saltines. 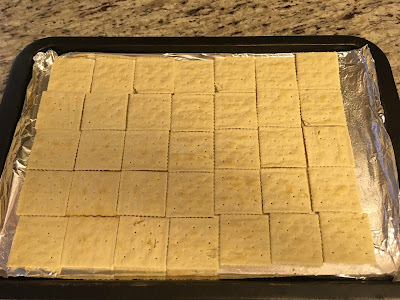 Pop the baking sheet in the freezer for about 15-20 minutes then take out and break apart the crackers. They will not look perfect but will taste heavenly! Store in an air tight container in the fridge until ready to serve. 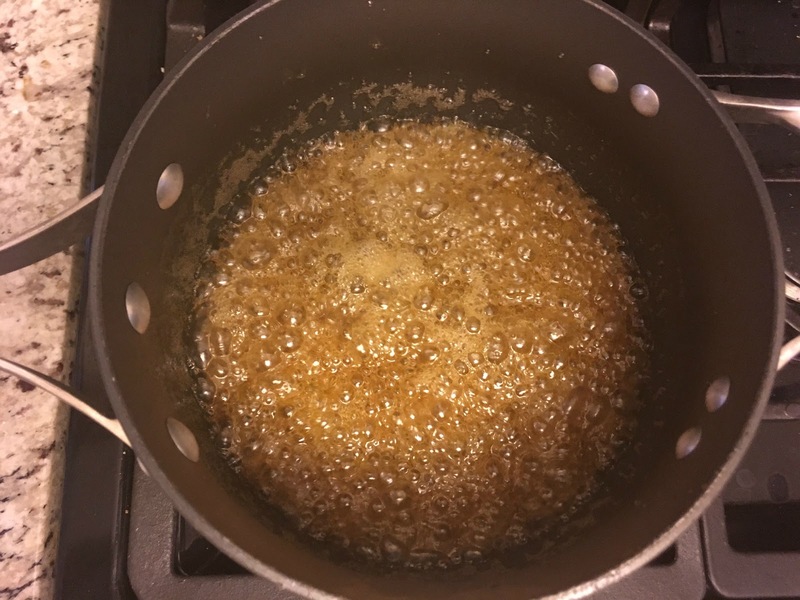 Have you ever made this before? This stuff is SO good! My husbands aunt made it a couple of years ago and that was the first time I had tried it. I have this on my list of Christmas goodies to make! Alight, alright! You convinced me. We are totally making it this year! Sweet and salty is the best combination! My sister made these at Thanksgiving and they came out so good. We couldn't stop eating them. 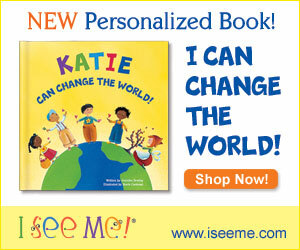 OH my gosh, this looks so delicious, Lizzie! It would be perfect to take to our work lunch next week! Oh wow, this looks amazing and sounds so, so easy!!! This looks so good and so easy. I really need to try this. I have seen different variations of it, but this one looks easy!!! I can't wait! ummm yes please! This looks dangerously good! How simple yet so dang good! We've had this at MOPS for the last 4 years and it's such a tasty treat.